Contoured seat and back for ergonomic comfort. Heavy-gauge oval steel tubing with cross-brace for extreme durability. Chairs nest for easy storage. 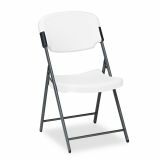 Iceberg Rough N Ready Series Resin Folding Chair, Steel Frame, Platinum - Folding chair is ergonomically contoured and lightweight. Holds 250 lb. Nests for storage. 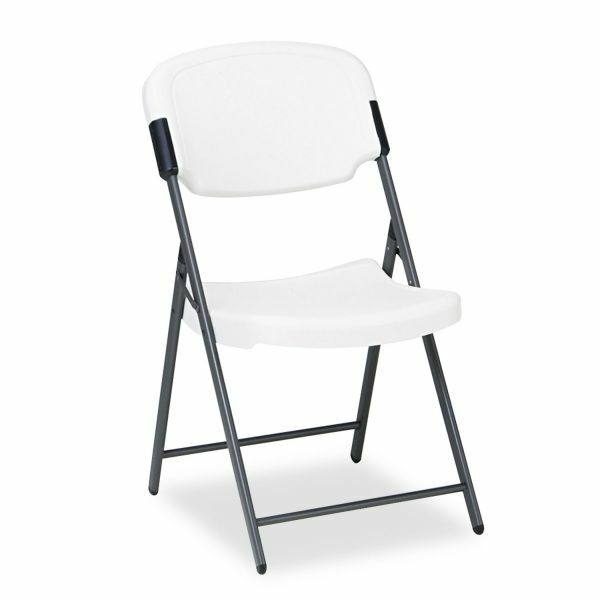 Design features blow-molded, high-density polyethylene seat and back with soft radius edges. 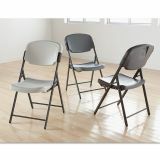 Powder-coated, heavy-gauge, oval steel frame has sturdy cross bracing and nonmar plastic feet. Seat pan and back resist dents, scratches and stains.